Under WP Admin > BookingRobin > Appointments > Settings > Form Builder, click Submit at the end of the form. 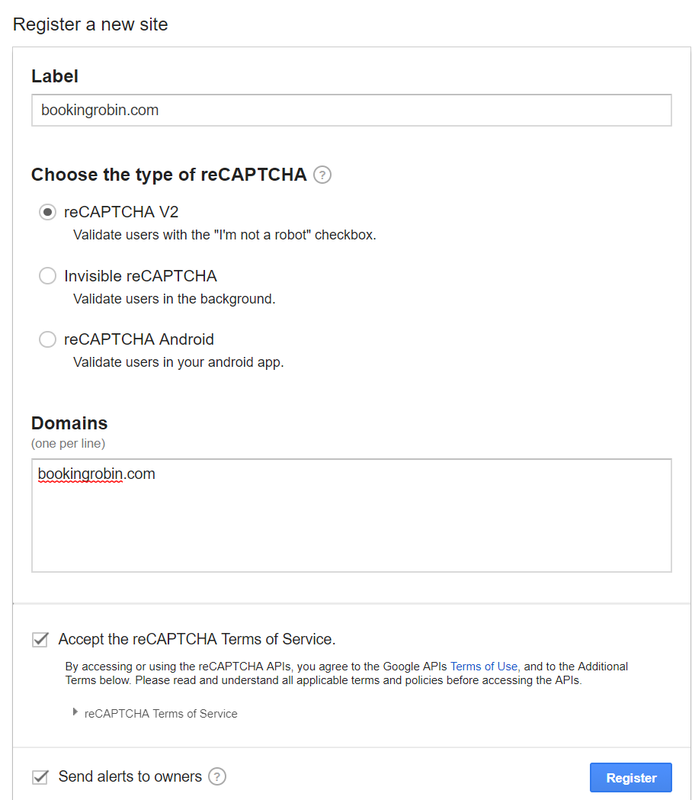 At the field settings tab, you can enable reCAPTCHA. 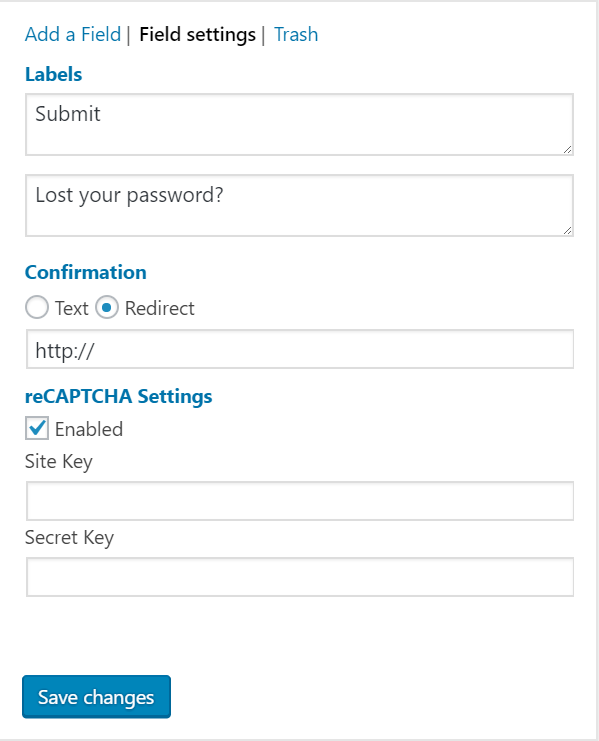 To get the Site Key and Secret Key, go to https://www.google.com/recaptcha/intro/ and register your site.